Living in a condo has it’s challenges. Space is precious that’s why you always have to consider storage. Pretty much, I guess this may be one of the reasons why we haven’t bought a vacuum cleaner since we moved in our condo 3 years ago. We just had to find the right one for our space. The other day, Mickey brought home what I would call our new best friend. 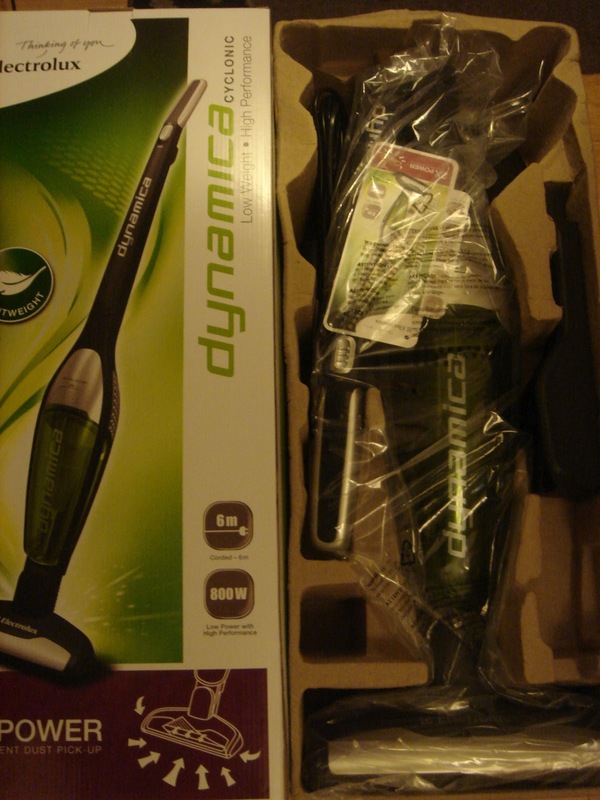 It was an Electrolux Dynamica vacuum! and it doesn't take too much space. 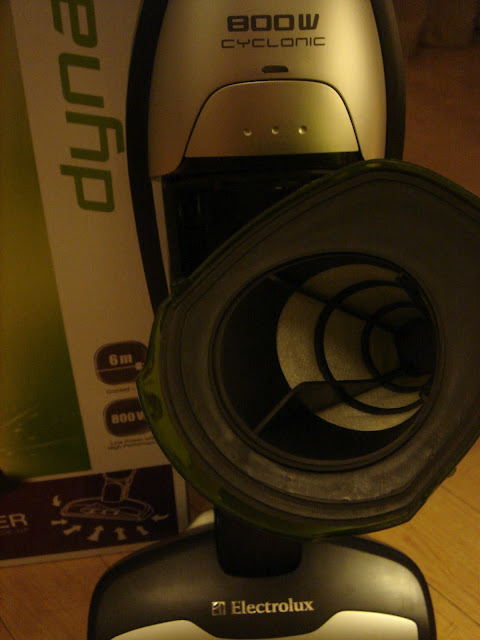 It’s also an eco- vacuum! It’s bagless, which means you don’t need to fret about buying the bag that catches the dust and dirt. Just throw away the dust and dirt, shake the two built in filters clean or rinse separately in warm water, and you’re done! Make sure though that the filters are dry before reassembling. 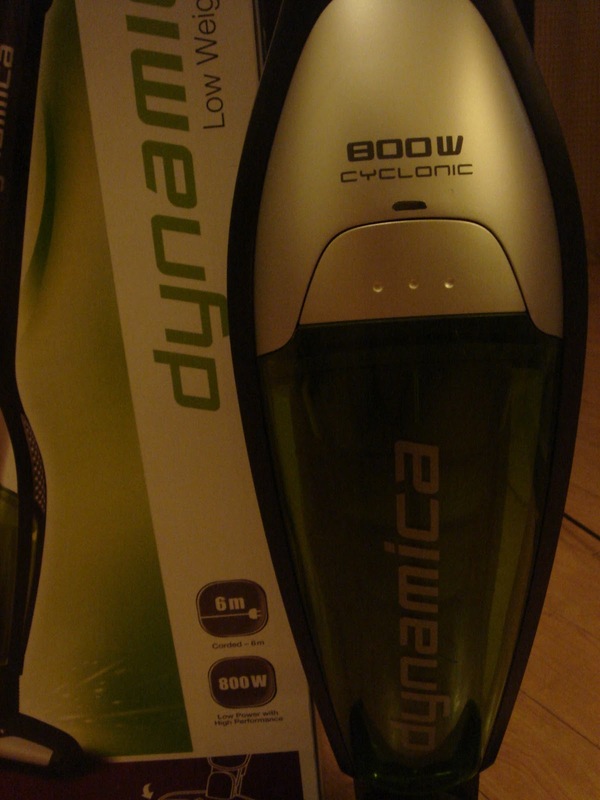 The Electrolux Dynamica is also lightweight and can easily be maneuvered. It has a 6-meter long cord which allows you to clean a big amount of space without unplugging and plugging to the nearest socket. We put it to the test and it’s 800W power did not disappoint! With two settings of medium and maximum power, you can simply adjust the setting based on the need. We tried the maximum power on our living room carpet and it lifted portions of the carpet. Now, that’s power! This vacuum is not only designed for carpeted floors but for hard floors as well. It’s motor brush easily picks up dust and dirt. 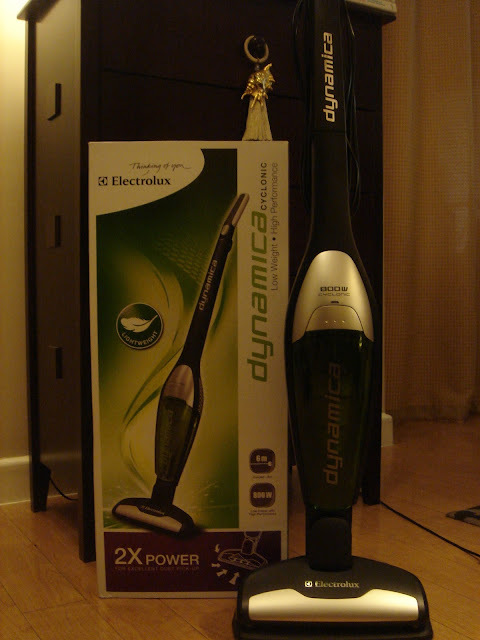 After seeing all the dust and dirt that was collected, I am definitely convinced that it is more hygienic to use the Electrolux Dynamica versus a broom that blows dust in the air as you sweep the floor. The SRP for the Electrolux Dynamica is also light on the pocket at PHP 3,995.00 and is available in Anson's Stores and in select Robinson's Appliance and Department Stores. 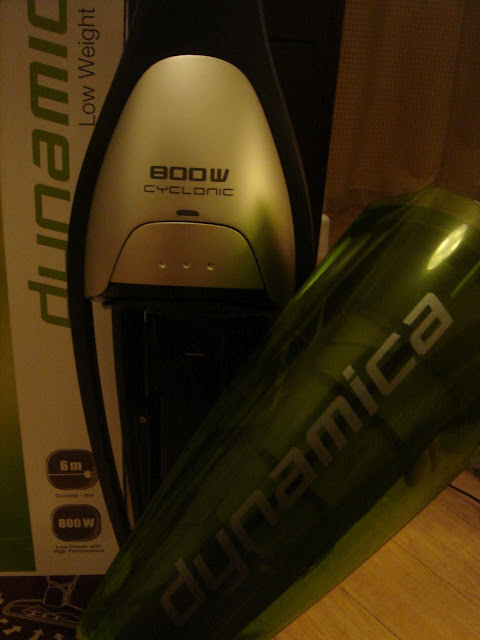 Ladies and Gents, ban that broom and switch to an Electrolux Dynamica! Thank you for your kind review, I will get one for myself tomorrow.